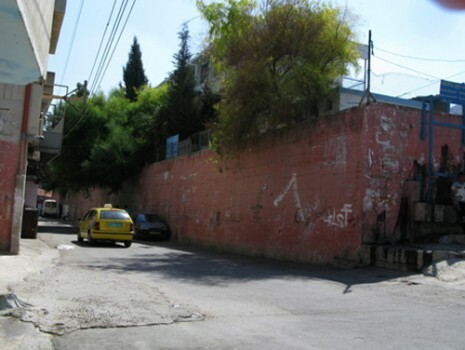 Adjacent to the city of Nablus, Balata is the largest refugee camp in the West bank. 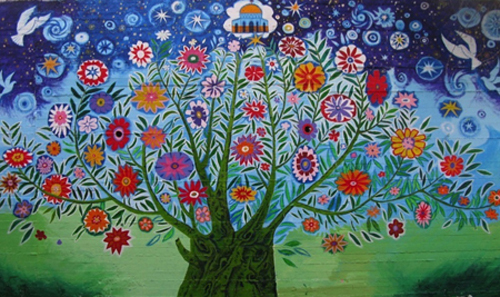 23,000 residents live on 0.7 square miles of space. 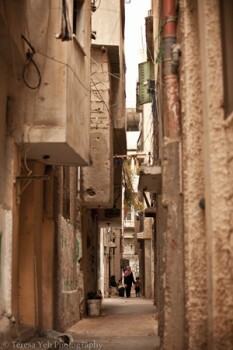 It is one of the most densely populated places on earth. 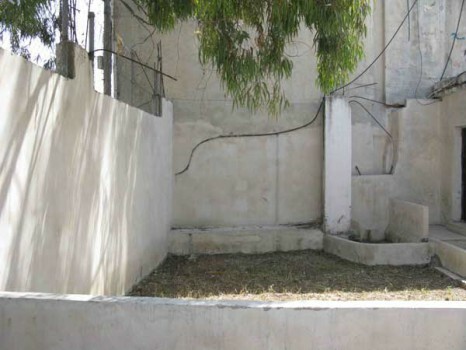 The physical environment is composed of three story concrete blocks with almost no space between them. 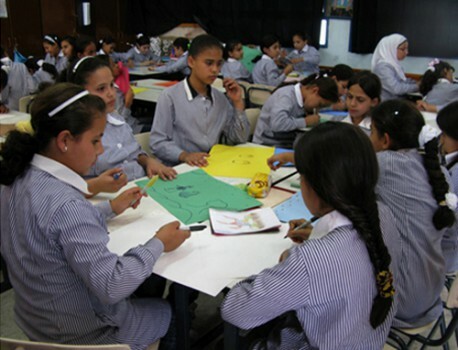 The unemployment rate is 25% due to the lack of opportunity imposed by Israeli occupation. 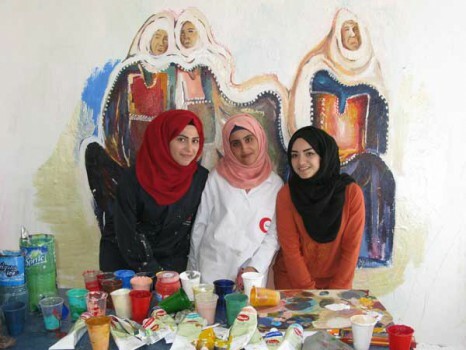 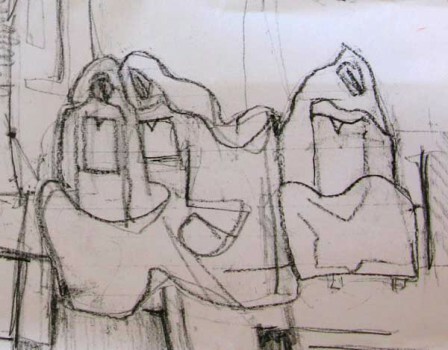 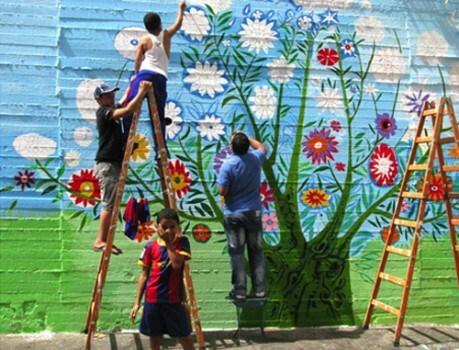 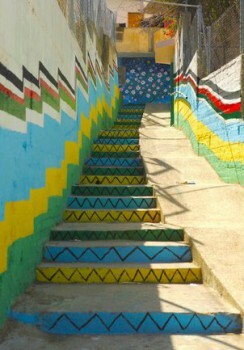 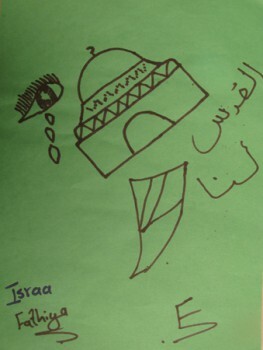 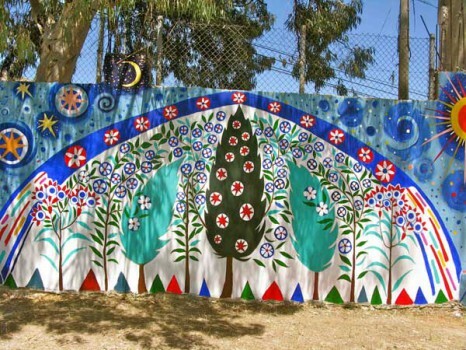 In the summer of 2011, Lily Yeh was invited to Balata Refugee Camp to create a community-based art project. 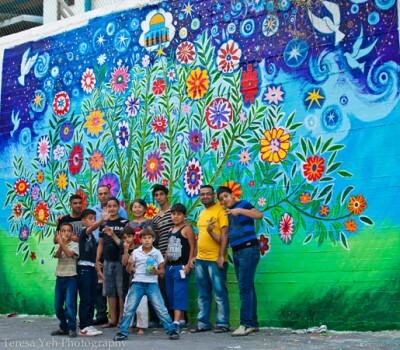 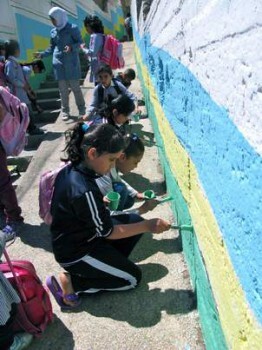 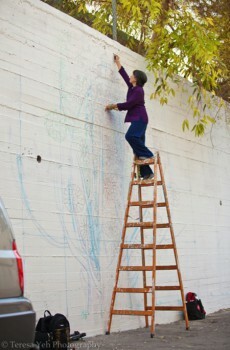 She worked with volunteer artists, leaders of the Balata Womens Center, students of the Balata Girls’ School, and other local participants to create a mural called “The Palestinian Tree of Life.” Through its subject matter, jubilant colors, and harmonious composition, the mural reflects residents’ deep pain and intense desire to return to their homeland as well as expressing people’s longing for peace and determination to live in dignity. 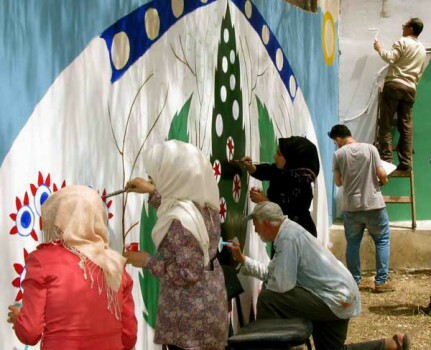 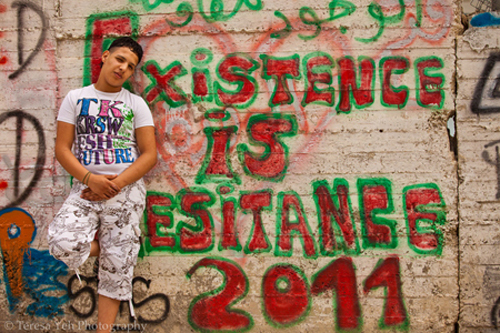 In April 2012, Barefoot Artists returned to Palestine to continue its work at the Balata refugee camp. 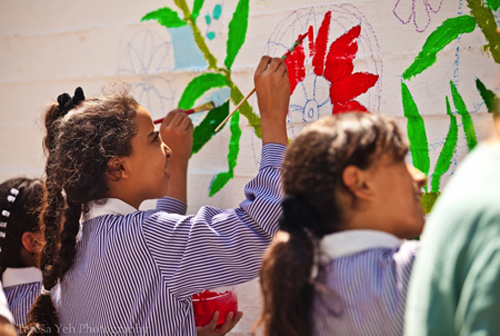 Partnering again with the Balata Womens Center and Majdi Shella, Barefoot Artists organized children and adults in the camp to transform a bleak and graffiti-filled passageway into a gallery of bright colors and patterns. 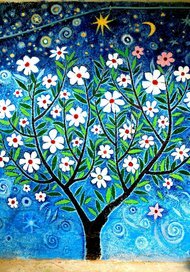 At the end of the stepped and slanted walkway stands a full blossoming tree, displaying its multiple white flowers in the luxurious blue sky. 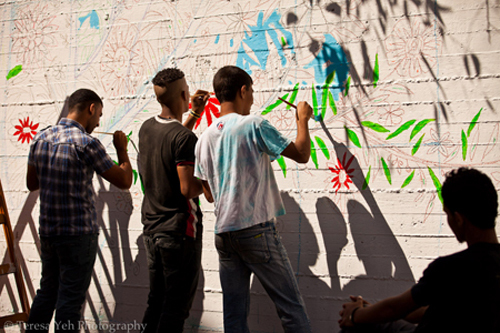 In the congested Balata Refugee Camp, open space is hard to come by, especially play areas for children. 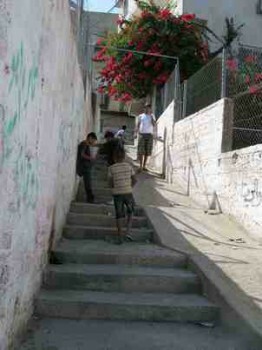 Children play on the streets, dark alleys, or passageways. 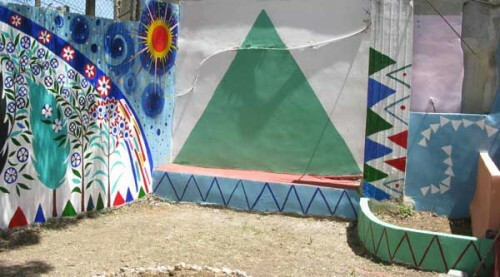 The courtyard of the Women’s Center with its play equipments provides children and their families a safe place to relax. 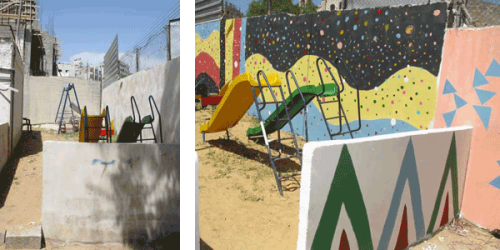 Despite the colorfully painted equipments, the playground looks bleak with its grey cement walls. 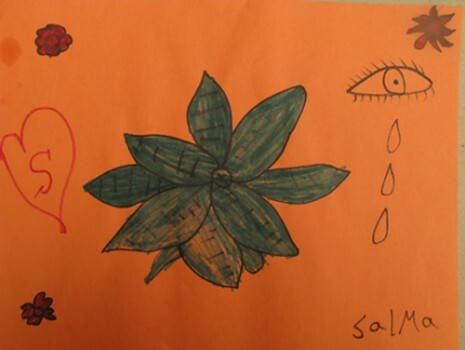 We were invited to create art at the center during our visit in April 2014. 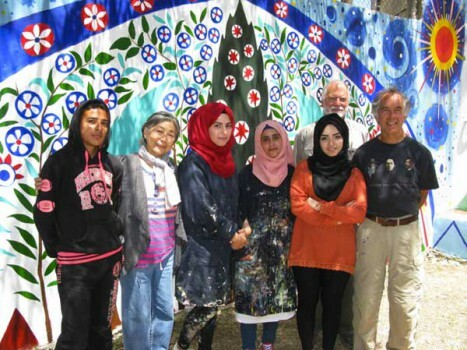 2014, Team member Rob Shetterly (center) worked with Professor Bassam (right on ladder), his son Fuad (next to the ladder), and his three students Jannat, Aya, and Majd. 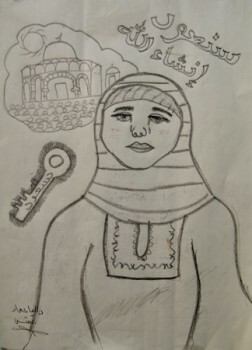 2014, Completed by Jannat, Aya & Majd.